Berito Kuwaru’wa waged a nonviolent international campaign calling on multinational oil companies not to drill in the isolated, traditional homelands of his U’wa people, who consider oil to be the blood of Mother Earth. The U’wa people live high in the cloud forests of Colombia. A highly traditional people who have had very little contact with the outside world, the U’wa believe that oil is the blood of the earth and that to extract it is equivalent to committing matricide. In 1992 the Occidental Petroleum company (Oxy) of Los Angeles was granted a license to explore for oil in the U’wa’s territory. This was in violation of a 1991 ruling that states that community consent must be given to carry out exploration in indigenous territories. As a small child, Berito Kuwaru’wa was kidnaped by Catholic missionaries and taken to live at a mission. He was given the name Roberto Cobaría (the name still officially recognized by the Colombian government) and learned some Spanish. He lived at the mission for several years until his mother managed to rescue him. As a result of that experience Kuwaru’wa has been working in defense of his people since he was very young. Designated by the U’wa as their spokesperson to the outside world, Kuwaru’wa has waged an international campaign against drilling in the U’wa homeland. He has garnered the support of environmental and human rights groups and in 1995 successfully appealed to the Colombian courts to change the decision allowing Oxy to explore for oil. The government, however, exerted pressure on the courts to revoke the ruling and the license was reauthorized. In 1996, Kuwaru’wa traveled to the United States to meet with Oxy executives in California. There he explained U’wa cosmology in song insisting that their traditional territories are not negotiable. 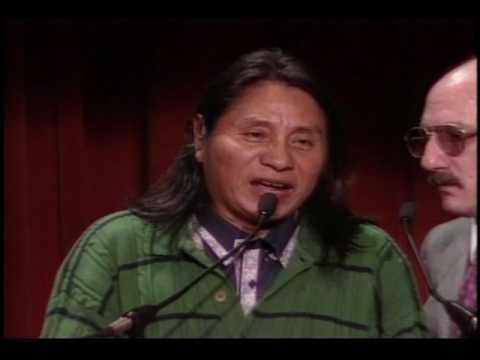 In June 1997, Harvard University conducted a mediation study with the Organization of American States (OAS) where they recommended the “immediate and indefinite suspension of the project.” The U’wa have also taken their case to the Inter-American Commission on Human Rights where they are arguing that their right to a clean environment and the basic right to life will be denied if the government continues on its present path of oil development. In July 1997, Kuwaru’wa was pulled from his bed by a group of hooded men with rifles. The assailants demanded that the tribal leader sign an authorization agreement or else be killed. After refusing to sign away his tribe’s heritage, Kuwaru’wa was beaten and pushed off an embankment into a river where he nearly drowned. The OAS ordered the Colombian government to take responsibility for Kuwaru’wa’s protection. Since the beginning the U’wa have steadfastly been opposed to Oxy’s presence in their traditional territory. They believe that oil development will gravely disrupt their way of life; choosing suicide over what they see as genocide, Kuwaru’wa and 5,000 others have pledged to jump off a cliff if oil development takes place. 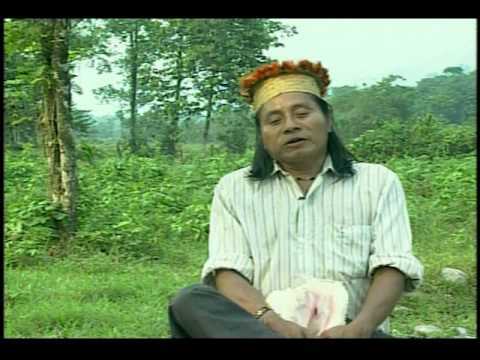 In May 1998, Oxy announced that it was moving off of lands that are claimed under Colombian law by the U’wa, but sought to retain rights to drill a new well on the larger U’wa ancestral territory. Kuwaru’wa continues to fight for the rights of his people to protect their land from development. Help Berito continue to challenge the oil companies that threaten his homeland.